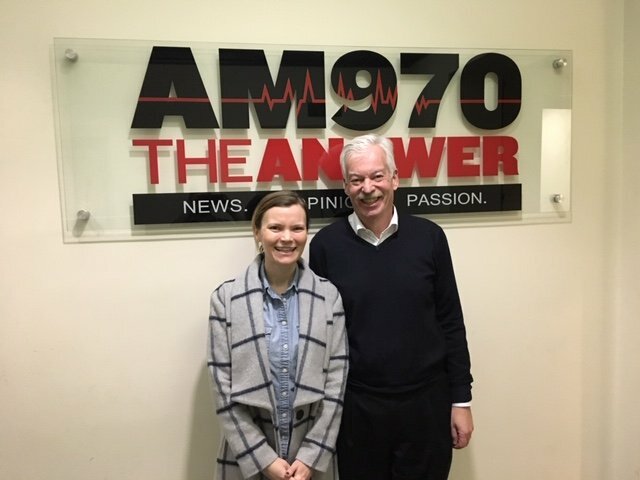 The following is a conversation between Becky Straw, co-founder and CEO of The Adventure Project, and Denver Frederick, Host of The Business of Giving on AM 970 The Answer WNYM in New York City. Denver: It is said that the best form of charity is to give someone a job. Unfortunately, it is more often said than actually executed. But a young organization that has brought those words to life is The Adventure Project, and it’s a pleasure to have with us tonight their co-founder and CEO, Becky Straw. Good evening, Becky, and welcome to The Business of Giving. Becky: Good evening. It’s so awesome to be here. Denver: Tell us what The Adventure Project does and the mission of the organization. Becky: Absolutely. We are a nonprofit organization, and we are adding venture capital to create jobs in developing countries. What that means is that we’re focused on helping, giving people who live on less than two dollars a day, job training, so that they can move themselves out of poverty. The key is that the job training is around helping the community. So, that’s everything from training people to be well mechanics or healthcare workers, or helping farmers gain access to irrigation. It’s: What are those smart interventions that are going to lift that family out of poverty so that they can thrive? …we became fast friends but also connected over the shared belief that we’re both not wealthy people, but we want to give well. And we want to know that the money we give is going to the right places, and it’s truly helping people. It’s not about getting our name on the wall of a building. It’s about just knowing that we empowered families to raise healthy children. So, that’s what started this adventure, so to speak. Denver: I believe you can learn a lot about an organization by understanding their founding story, so tell us yours, how you connected with your co-founder, Jody Landers, and how The Adventure Project came to be. Becky: I met my co-founder in an unconventional way. We met in the back of a truck in Liberia. She is an incredible woman and mom. She is actually a mom to six children, which is incredible in itself. 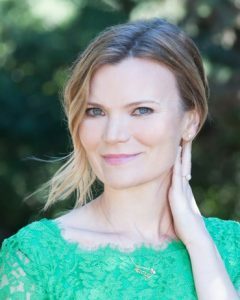 She had a great blog that she was running, and I think she was so popular because she’s (a) a great writer, but (b) How many people have six kids and can make that all work? She was from a small town in Iowa, and she and her husband heard about these two twins in Sierra Leone that needed a family. Jody is the type of person who said, “Well, I already have four kids. What’s two more?” which as a parent…who actually says that? But she did. With that, they decided that they wanted to be globally-minded. So, she started raising money for an organization I used to be part of called charity:water. I was program director managing water projects there, and I met her in Liberia to show her all the good that came from her work. During that time together, we became fast friends but also connected over the shared belief that we’re both not wealthy people, but we want to give well. And we want to know that the money we give is going to the right places, and it’s truly helping people. It’s not about getting our name on the wall of a building. It’s about just knowing that we empowered families to raise healthy children. So, that’s what started this adventure, so to speak. Denver: it’s funny. I was at an event the other night with a guy who was one of 10 children, and he had 6 kids, and his father was giving him a hassle that he only had six kids, but he told his dad that 6 is the new 12. Was there a decision as to whether you were going to be a nonprofit organization as opposed to a social enterprise? 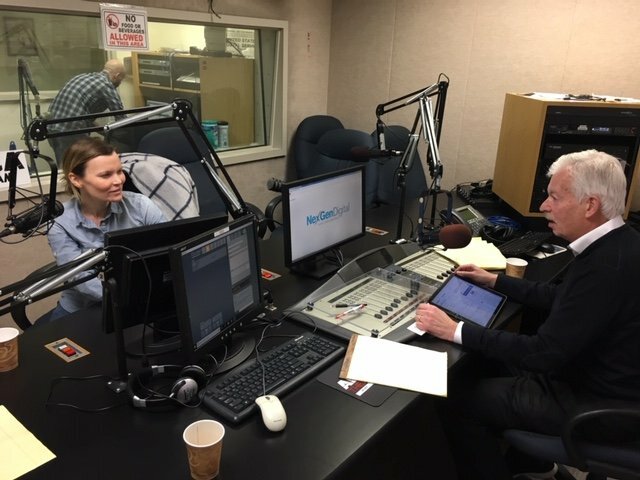 Becky: Yes, we thought about it for a while, and I think for us, especially because we tend to talk a lot to moms and millennials and people who give; our average donation size is about $150. Having a tax benefit is helpful to those families. So, we felt being a nonprofit that actually focuses on job creation is kind of a cool, different approach. We actually couldn’t find many organizations that were targeting a movement of people to get involved and learn about these issues and know that their money is going to a good place. We wanted to be the charity that does things differently. These three huge, burley men came up to us. We had heard rumors people were starting to get restless. People were getting really frustrated. It’s been a year since the earthquake. These men approached us. I was like, “Oh, shoot!” We didn’t come with any… we’re just assessing. We don’t have any food. We weren’t dropping off any supplies. They were so sweet. They looked at me and just said, “Ma’am, we’re just wondering if you’re hiring. We really need a job.” For me that was recognition that we are about to launch something incredible because this is exactly what people want, and this is why organizations exist is: we need to be thinking about providing tools and services to people, giving them what they want… not what we think they need. Denver: You’re the charity that is looking to create jobs. Was there an “Aha moment” for you where the centrality of a job to the well-being of an individual and their family really hit home? Becky: Absolutely. When I was working in the water space and spending about one-third of my time in sub-Saharan Africa and just traveling, finding different water partners, working with them, there were several moments, I would say, it got to the point where every country I went to, there’d be one mom or dad that would come up to me and say, “Hey, thank you so much for this well, but I’m wondering if you’re hiring.” That would be heartbreaking for me because at that time I was in my 20s. I was so young, and to see someone asking so earnestly about their need to take care of their family. Or, “if I can get a job like this, then I can send my kids to school.” That really struck me. It’s further enhanced when we started work, the first project we did was in Haiti. It was right after the earthquake. We were in one of the largest tent camps outside of Port-au-Prince. These three huge, burley men came up to us. We had heard rumors people were starting to get restless. People were getting really frustrated. It’s been a year since the earthquake. These men approached us. I was like, “Oh, shoot!” We didn’t come with any… we’re just assessing. We don’t have any food. We weren’t dropping off any supplies. They were so sweet. They looked at me and just said, “Ma’am, we’re just wondering if you’re hiring. We really need a job.” For me that was recognition that we are about to launch something incredible because this is exactly what people want, and this is why organizations exist is: we need to be thinking about providing tools and services to people, giving them what they want… not what we think they need. Denver: Nothing like that moment of validation, is there? The organization focuses on four big issues that impact people living in poverty. They would be the environment, health, hunger, and water. That’s a pretty broad canvas, having your foot in each one of those camps. Did you ever think of focusing on one or two of them? And why did you decide on all four? Becky: That’s a great question. We did. We thought about, for example, we’re in the fuel-efficient stove space, and that’s a space that most people aren’t aware of. One of the largest killers of women and children is actually from breathing in toxic smoke while they prepare meals over open fires. So, we thought: that’s an area that doesn’t have a lot of awareness. Maybe we can focus there. But when we took a step back, we realized there were so many issue areas that needed good jobs, and if you really want to help local communities thrive, how cool is it to provide water, healthcare, access to farming and better food and also fuel-efficient stoves! Taking a holistic approach in terms of providing things that are going to save children’s lives– primarily children under five years old, and giving those interventions to communities would be really impactful. The second reason being, at that time, we didn’t find a lot of incredible organizations that were implementing this approach in this way, where local organizations are creating jobs focused on sustainable impact. So, we felt that it was best to find the best of the best organizations. That meant going outside just one focus area, but really broadening our approach. I think what Americans or most people don’t realize is that 36% of all wells in Africa are actually broken. What you have is you have incredible intentions going abroad to help people in need, but you don’t have people thinking long term– about the supply chain, the sustainability, having the right tools and spare parts to keep those wells working. So, that’s where we felt that we could come in and provide value is: How could we be an organization providing the funding and support to build these businesses? Denver: In some ways, you’re really only doing one thing, and that’s jobs. That’s the thread that really connects all these together. Let’s take one of the areas in which you work, which is water. What is a big issue in the developing world around water? And what is The Adventure Project doing to address that issue? Becky: I think incredible organizations like charity: water, which is the organization I used to be part of, which I was blessed to be part of, are really doing an incredible job raising awareness for the need for clean water and the problems surrounding so many people…over 600 million people that don’t have access to clean water. I think what Americans or most people don’t realize is that 36% of all wells in Africa are actually broken. What you have is you have incredible intentions going abroad to help people in need, but you don’t have people thinking long term– about the supply chain, the sustainability, having the right tools and spare parts to keep those wells working. So, that’s where we felt that we could come in and provide value is: How could we be an organization providing the funding and support to build these businesses? So, we have been supporting Water For People in Uganda that is providing a well mechanic training program where people are learning the skills, and they get the tools and spare parts to maintain wells in their communities… which is going really well. In fact, it’s looking like the sub county will be one of the first sub counties in sub-Saharan Africa to give 100% of the population clean water, which is awesome! Denver: I sometimes wonder if it’s worse never to have had clean water than to have had it and then have it taken away when the well goes down. That’s got to be incredibly frustrating. Becky: And that was my guilt because I was going back and visiting communities after giving them clean water and seeing that the failure rate was pretty heartbreaking. You see kids going back to the stream or the river, and there’s three wells that were built in their community, and all are now dysfunctional. Or communities have tried to fix it on their own, and that’s really heartbreaking. Denver: A real key to your business model that you were sort of alluding to a moment ago does have to do with those local partners. You’re a pretty lean organization yourself, so how do you identify them and check them out and make sure they’re going to be the right partner for you? Becky: I came from the program development space. As I said, I spend one-third of my time working in sub-Saharan Africa. That was my big focus area was: we need to find incredible partners. We’re very careful. We’ve only selected six organizations that fit our criteria so far. So we vet every partner before we visit. I think that’s a huge benefit. We go out and evaluate almost every year every partner to make sure everyone’s on track and that we really develop a strong relationship. And what we’re looking for is very specific. We’re looking for organizations that provide a product market fit. Meaning, they’re providing a service that community members are willing to pay for, which I think is very important. There are so many organizations that go out and pass out stuff and say, “Everybody wanted it because everyone took it.” It doesn’t mean that they would have bought it, right? I think we often don’t think about the consequences of our charitable giving, and we don’t think holistically, or bother to work with other organizations to assess the true needs of those communities and how can we be of most help. Denver: That can kill the businesses in the community when charities are doing that. Becky: Absolutely. Perfect story is in Haiti. We were helping start a fuel-efficient stove, clean-cook stove enterprise; mainly men who were making them out of local materials. Women were selling them in Port-au-Prince, and then a large US organization came in two years after the earthquake and passed out 10,000 free stoves that they imported from China or India, and it decimated the sales for over six months for those women. And I think we often don’t think about the consequences of our charitable giving, and we don’t think holistically, or bother to work with other organizations to assess the true needs of those communities and how can we be of most help. Denver: Your organization is very focused on data. You love to see the needle move, albeit slowly, and you employ that data to inform your decision-making. What data have you collected that you find to be really noteworthy? Becky: Two things. The coolest things are: we track every entrepreneur, and we do a lot of assessment, and we are deploying a mobile app so that people can collect the data on android phones once they get to a Wi-Fi hotspot. The data is cached, and once it gets to a hotspot, it gets sent to the backend which is great. What we’re finding is that once an entrepreneur is working, they’re spending the money on two things: more food for their families, which is incredible, and then number two, to send the kid to school for the first time. So, we know that we’ve created 1,600 jobs– a little over that– in Kenya, Uganda, Tanzania, Haiti, and India; and now, Malawi…we just expanded, and we know that over 1,100 children have gotten to school for the first time. That is not because we provided any sort of scholarship or tuition; it’s because those parents finally have enough money to be able to buy uniforms, afford the school fees and the materials. So, that’s really a measurement that we love tracking. It’s sustainable, transformational. Denver: Absolutely. You’ve done good work and then, absolutely, they can take it from there. Who are some of your partners in this endeavor? And is there a particular demographic that really supports and provides you with your general support? Becky: As I said, moms and millennials, people who give an average $150. Primarily we’re a movement. We’re trying to show people that you don’t have to give a lot of money to really transform someone’s life. It’s not about, “I have to be rich, or I have to be Jeff Bezos to be able to make an impact.” Really trying to showcase that you can make an incredible difference in someone’s life, and it’s going to go to an incredible place that’s going to transform a family, their children, their communities, and it doesn’t have to be a million-dollar donation. Becky: We have various corporate partners. 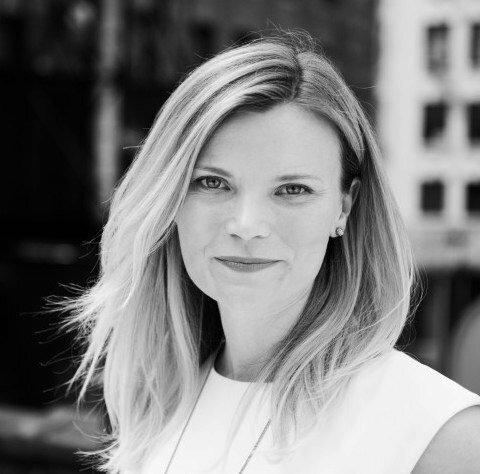 Everyone from the Mattel Foundation has given… to women-founded jewelry companies… Catbird, which is an incredibly cool company that supports us. What we love is actually foundations and corporations come to us with matching gift opportunities, which is actually really a great way to partner. One Day’s Wages is an incredible foundation that’s given to us the last five years. Everything from a $10,000 match to: we’ve been doing $50,000 matches every year. By combining our resources, we’re able to raise $100,000, meaning that we’re even more impactful than we would have been if we were working separately. It’s really a very smart and incredible way that we can leverage our strengths— where they’re putting money up, and we’re telling our community that they have a matching opportunity. Denver: Being a slightly different kind of charity, do you ever find a challenge trying to fit into some of these giving guidelines? Becky: Absolutely. That is our biggest challenge. A lot of people are so rigid with their requirements that we’re really an outlier. It’s definitely been a huge challenge. We talk about scale, and we’ve been working for eight years, and we’ve been getting by as a grassroots organization slowly, growing every year. A few months ago, we were blessed to receive a million dollar gift from the Pineapple Fund– which came through Bitcoin donations. That was a catalystic gift to us that now is giving us the opportunity to grow and provide some capital. Denver: That is fantastic. Talk a little bit about scaling because I think so many guests on the show have said that in this field, that is the hardest thing–to take a great idea and to scale it for greater impact. Any lessons you’ve learned as your organization continues to grow and evolve? Becky: Yeah, I think it is. It’s really challenging. We’re in the thick of it now…because we had this million-dollar gift that came that was unexpected. Denver: How did you react to it by the way? Do you remember how you reacted when you heard about that million-dollar gift that was unexpected? So we stopped all work and ended up building a microsite that said “Dear Pineapple,” and it was a whole site devoted to what we would do if they gave us a million dollars and chose us as one of their partners. Then, I sent a subject line email that just said, “We never heard from you, so we made you this,” and sent it to them and just said, “Sincerely, we would be so honored if you would consider us; 24 hours later, I woke up at 3:00 in the morning, and the person wrote back and said, “Hey, Becky. Sorry for the delay; Would love to give you $1M.” I woke up. My husband thought I was in labor. Then the next day, we had a note under our door from somebody in the building saying that somebody had woken them up. Can we please keep it down? Denver: I’m sure there’s a lot of kids who are going to be applying to college who are probably going to keep that in mind when they haven’t heard back from their school of choice. Let’s talk a little bit about your corporate culture. It is so important to the well-being and health of an organization. I don’t think many people appreciates how vital the early days and years are in establishing that culture. How do you think about that, Becky? And what are some of the things that you’ve done to create a great workplace culture at The Adventure Project? Becky: That’s a great question, and I think I’ve made a ton of mistakes, right? Because we’re a startup, you’re bound to make mistakes, especially as I was early, the third employee at charity: water, so that was a very quickly growing organization. So, I was able to learn a lot about building a great culture there. I think the key takeaways for me have been: since I’ve started my organization, I’ve had incredible life experiences and incredibly difficult experiences. I lost my mom, but I met my husband, and I got married, and I now have a 10-month-old. I think the experience of living life has really struck me in terms of: How do you build a culture where you understand that people come to work every day, but they have a lot of other things going on in the world personally. So, how do you build a culture where you treat people like adults? How do you hire adults because you’re not a there to micromanage them? So I think one of the difference is we have a very flexible work environment. My new chief development officer has two small kids. I actually love that because if you want to get something done, give it to somebody who’s already busy because they tend to crank things out really quickly and effectively. If you’re treating people as adults and giving them the respect and freedom to get their jobs done, they’re going to do it 100 times better than if you’re micromanaging and checking in and clocking in and making sure that they’re at their desks groveling away. Denver: You’re absolutely right. I think that when you trust people, and that becomes your default, assuming that they’re going to do that job, they pay that trust back with a very nice dividend every single time. A lot of people don’t think that way. Becky: Absolutely. I think another difference too is that we really focus on outcomes and data. We love data. One of our board members actually does this Run Like Clockwork business series, and she’s an executive coach that has really helped us focus on, “Okay, we’re tracking our time. We’re seeing how our time is most effective. Then we’re going to double down on that.” If I’m doing a task that isn’t bringing in revenue or isn’t a good use of my time, then I need to outsource it. I need to either find an intern, or we need to hire a consultant to get those low-level tasks off our plates, so that we can focus on the bigger things. Denver: Speaking of the bigger things, you’ve been in this field of international development for about a decade now; at UNICEF before charity: water, and now with TAP as it’s called, The Adventure Project, what’s your impression of it? Where do you think the field is doing well? And where do you think it stands to improve? Becky: I think there are so many needs around the world; I think what is most hopeful and inspiring is that for the first time, less than 10% of the global population lives in extreme poverty. So, we’re doing something right. People are moving out of poverty faster, which is incredible. Denver: A lot of that is China, of course. Denver: It’s happening. Not many people realize that. They think it’s getting worse than it is. The first time in human history that it’s been in single digits. Becky: Exactly. I would argue that that’s because of enterprise. The countries are able to develop and because they’re creating jobs, people are moving out of poverty. That’s why we’re doubling down on sub-Saharan Africa because that’s where most of the extreme poor are remaining and need the most funding to grow. Denver: It’s the way we think about infrastructure in this country. We’d rather cut a ribbon and open a new building, but the subways haven’t been maintained for a century. It’s boring. It’s grunt work, and we don’t somehow gravitate to it. Becky: Yeah. It’s all the unsexy stuff that keeps everything working. It helps people to get to their jobs every day. Denver: Let me close with this Becky. Much of your motivation and energy comes from the inspiring people that you’ve had the opportunity to meet and encounter through The Adventure Project. Share with us one of those stories, if you would. Denver: Becky Straw, the chief executive officer of The Adventure Project. I want to thank you so much for being here this evening. Tell us about your website and how listeners can help support this work if they are so inclined? Becky: It is called theadventureproject.org. We would love your support, whether you’re joining our email list; or if you really want to get involved, you can join our collective, which is a community of monthly donors who are committed to creating jobs and empowering other people. Actually, if you join soon, we have a special group of donors who are going to donate $250 for every new sign-up. So, that’s like a great way that you can help unlock more money for our organization and start your New Year right with resolving to give back monthly. Denver: Thanks, Becky. It was a real pleasure to have you on the program. Becky: Thank you so much, Denver. Appreciate it.